So, you ended up a long vacation with many footage, captured from your smartphone or a professional DSLR and want to combine those clips and still image to create your own story for uploading to your YouTube channel or Facebook account. That’s when you need a video editing software for making travel videos. Honestly speaking, if you’re not making travel videos for earning money, you don’t really need to struggle for the best video editing software at all. There are a bunch of free video editors that allows you to cut, trim and assemble you clips quickly. These programs are everything you need to share your travel experience to your friends and family. Believe me! If making videos is not your daily work, you don’t really need to to be struggling to find a video editing program with your limited budget. By the way, if you’re the one who love creating videos as a hobby, or making money, here’s the deal for you! In today’s article, I will share with you 3 best video editing software for making amazing travel videos for free, or at affordable license price. Let’s dive into the detail now! Top of our list is Filmora video editor of Wondershare. This is the most simple-to-use video editing software that anyone can use whether you are on Windows or Mac. The software comes in with an intuitive user interface and tons of preset templates and filters for quickly adding to your footage without spending month learning how to use its features. The biggest pros of using Filmora video editor is, of course the ease of use, and tons of preset video effects you can use right inside the program. All the important features are positioned right in the interface so you don’t have to go around to find them as many other professional video editors often do. Another great thing about Filmora is that it’s super lightweight software. It works perfectly on most low-end laptops which is kind of very useful for travelers who often carry out their laptop during the day to edit videos. Take a look at our detail review of Filmora video editor to find out if it’s suitable for you or not in this article! Filmora 9 Important Features are moved to top left of the editor. Intuitive user interface and very smart workflow. Has basic tools for video editing. Has advanced color grading tools and green screen effect. Possible to add up to 100 video/ audio track to the timeline. Possible to capture various input formats and export different outputs. Tons of preset title templates, end credits, filters and special video effects. Affordable license price compare to other expensive video editing suite on the market. Has a free version for testing the program with watermark on the output. Advanced tools such as Stabilizer and chroma key sometimes does not work as described. Lack of motion tracking and masking tools which professional video editing software often have. $59.99 per lifetime for individual. Like Filmora, Movavi video editor is also an easy-to-use, and affordable video editing software you can use for making travel videos whether you’re on Windows or Mac. This video editor comes in handy when you don’t have prior video editing experiences as it does not require you to spend hundred of hours watching tutorials to get started. The program is packed with the basic video editing tools plus some advanced features for those of you who want to have more control on the project such as camera shake removal tool, background noise reduction as well as color presets and title templates. The program is highly recommended for novices and casual users. Read our detail review of Movavi video editor to learn more about this software. Easy to use with intuitive user interface. Tons of preset filters and animated titles. Has color correction tools, video stabilizer, audio adjustment as well as Chroma key. Affordable license price compare to other expensive video editing suite. Can handle different inputs and export to various options. 14 days free trial is available. Our next recommendation for the best video editing software for making travel videos is VSDC free video editor (Windows only). When traveling, you may take many photos and short clips. You need to assemble all this stuff in one clip and applying random transition quickly without any further editing work, that’s when you can use VSDC free video editor. This program lets you create a sequence video with just few clicks. Finally, you are able to export your video into full HD quality, or even 4K without any freaking watermark on the outputs. To learn more about VSDC, read our review here! Feature rich package for free users. Possible to create videos faster with VSDC Wizard tool. Has tons of annotation tools and preset video and audio effects. Export video in 4K without watermark. Lightweight enough to use on low-end pc/ laptop. Technical support is very bad. Free version can be used without any restriction. 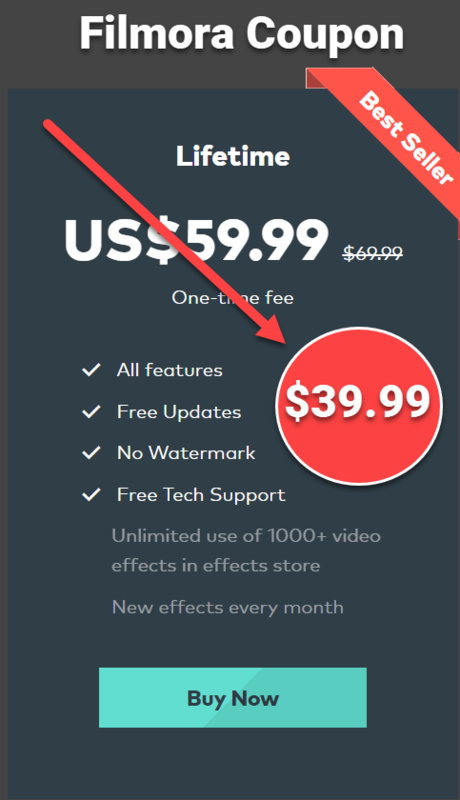 Upgrade to Pro version cost $19.99 per lifetime. Making travel videos is fun. It lets you save your best moments and experience. I hope these programs can help you save your time and effort searching for an affordable and simple to use video editing software for your needs. Don’t hesitate to contact me if you have any question about these programs. Don’t forget to follow our blog to receive more useful tips and tricks about editing videos and making home movies. How to Remove Green Screen Background In Filmora 9?